Today, Wednesday 28 September 2016, Edo State in south Nigeria, will hold its Gubernatorial election. It was originally scheduled for September 10 but shifted, citing insecurity reasons. A common feature of electoral malpractice in form of “ghost voters” has been raised when the incumbent Governor Adams Oshiomole of the All Progressives Congress informed the U.S Embassy in Nigeria, of a duplicated voters register already in wide circulation which included the picture of Abdulmutallab. Umar Farouk Abdulmutallab is the son of a Nigerian banker and former Chairman of First Bank of Nigeria PLC, one of Nigeria’s largest bank. 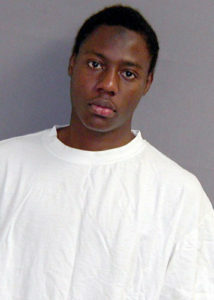 Popularly referred to as the “Underwear Bomber”, Abdulmutallab was known internationally when he attempted to detonate explosives hidden in his underwear while on board a flight to Detroit, Michigan, from Amsterdam, Holland, on Christmas day in 2009. He would later be convicted of eight criminal counts by a U.S federal court on February 16, 2012, leading to 50 years in jail without parole. The Governor however, apportion blame toward direction of Independent National Electoral Commission INEC, saying some of its officials at the ICT, loyal to the opposition Peoples Democratic Party PDP may have been responsible for the duplicity of voters card. In response, Mr. F. John Bray who led a delegation of election observers to the Government House in Benin City, the Edo State capital, assured the governor of noting his observation and promised it will be acted upon. Last week, Nigeria Police Force deployed 25,000 policemen in the state. The election which will be heavily contested among 19 candidates, according to INEC, the electoral umpire, has 4,011 voting points.